All at Open Road would like to share CL’s achievement. 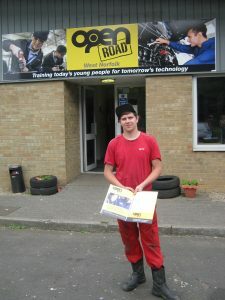 He is the first bursary student to gain a qualification. With several more young people registered for placements from September 2018 we expect to be able to report more successes in the near future.